So when I want to return my HP ink for free recycling, I just print off a correos international delivery form from their website, stick the old cartridge into a bag, put the form on the front and drop it into a postbox. 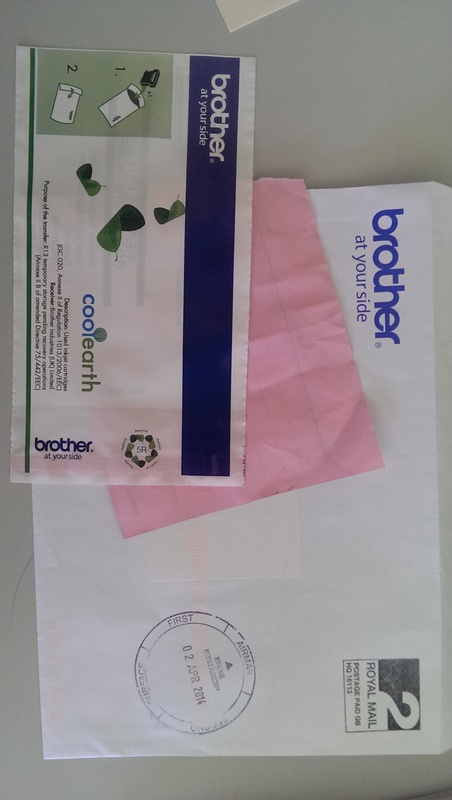 When I want to recycle my Brother ink cartridge, I have to fill in a long form online, and then they post me a return envelope. From the UK. One per cartridge. This entry was posted in Blog and tagged brother, hp, recycle by David. Bookmark the permalink.